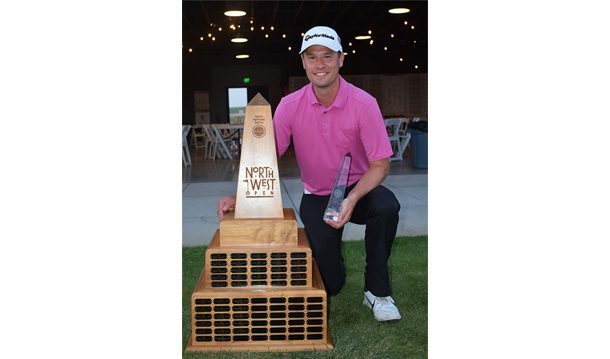 PGA Professional Shane Prante of The Home Course fired a final round 63, including a 29 on the back nine, to come from seven shots back and win his third Northwest Open Invitational at Wine Valley GC. Prante’s 200 total matched his 2017 score and made him the first back-to-back Northwest Open Champion in 12 years. A late eagle on #18 put Russell Grove of North Idaho College just one shot back at 201. Prante takes home $7,000 from the $68,500 purse. Nick Mandell of Canyon Lakes claimed low amateur honors at 203.